Situated in the premiere fishing port town of Kasumi along the coast of the bountiful Sea of Japan and is surrounded by beautiful natural scenery. We have numerous meal plans featuring seasonal flavors and specialties of the sea sure to satisfy your appetite and your budget. All of us here at Marusei are eagerly awaiting your arrival and look forward to welcoming you with heartfelt Japanese hospitality. 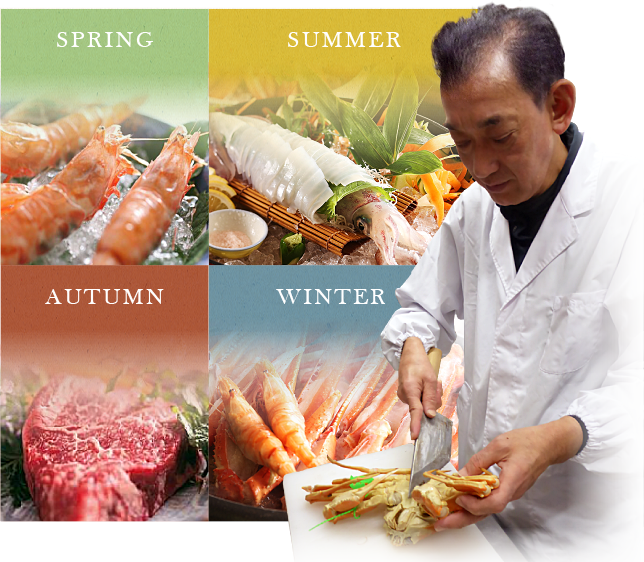 The head chief, and proprietor of Marusei prepares Washoku -Japanese cuisine using carefully chosen ingredients based on the season. All the ingredients are local and handpicked to insure the highest quality. Washoku is a cultural art form, and each dish is a work of art. Washoku – known as the traditional cuisine of Japan was added to the UNESCO Representative List of Intangible Cultural Heritage of Humanity. We do not think of Washoku as a simple dish, instead we have been brought up to value it as an important cultural and art form that respects nature. It is our desire for all guests staying here at Marusei to rejuvenate through a relaxed and stress free stay. Enjoy delicious cuisine made to make the body and soul smile. 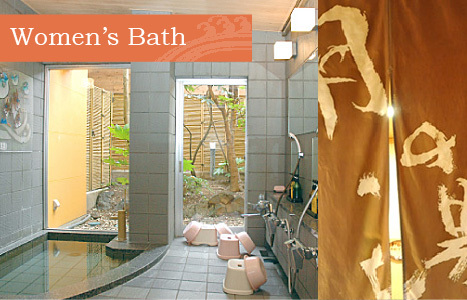 Although we are a casual ryokan we wish to offer you our care wholeheartedly. Dinners are served in your room and breakfast is served in the dinning area. After dinner take a relaxing soak in our natural hot spring baths, then afterwards sink into your futon for a good night sleep. Wall unit cooler and heater, refrigerator, T.V., safe, sink, telephone, comforter, tea set, yukata, toothbrush set, bath towel, face towel, soap, hair brush, razor, hair dryer, shampoo & conditioner, WiFi. Japan the “Onsen Empire” leads the world in number of onsen, or hot springs. 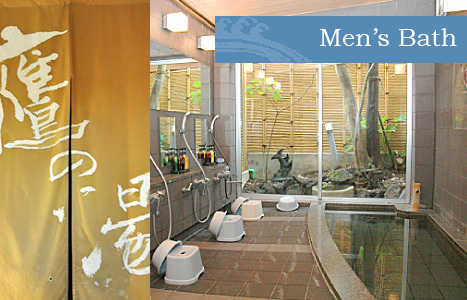 Soaking oneself in the natural hot springs holds deep roots in Japan’s culture. The onsen in the main building is Amarube Onsen. The composition of both the men’s and women’s bath water is 100% pure hot spring water from Amarube Onsen with no other water added. 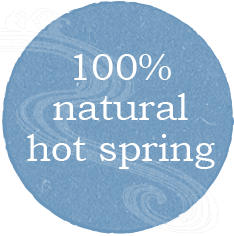 The hot spring water is a simple alkaline base which character leaves the skin smooth and silky. Swim in the Sea of Japan and relax on the sandy beaches with beautiful mountains in the background. Kasumi Beach is famous for its clear waters. Free parking. Showers and restrooms available. 15min. walk or 6min. drive from Marusei. A public recreational and relaxing park with a view of the Sea of Japan. Located near the middle of the Kasumi coastline. Spacious grounds perfect for children to play and other outdoor activity uses. Kasumi Beach is also located here. Among the premiere fishing ports along the Sea of Japan and is known for snow crab(matsuba-kani). Popular fishing site year round, notably for trawl and squid fishing. Enjoy the excitement of the port in the mornings when the market comes to life as fishermen bring in their catches and auctioneers call out to sell their goods. This shrine is favored by the locals and is the site of a large summer festival every summer. 2min walk from Marusei, located next to Minato Bank. Originally built in 1912 as an all steel trestle railway bridge, it has been in use for over 100 years. In 2010 it was replaced with the current reinforced concrete bridge and the three original trestles have been preserved and can still be seen. This “Sky Station” has also been transformed into an observation deck, from here you can see beautiful panoramic views of the Sea of Japan and its coast. Built in 1951, Amarube Lighthouse measures 284m high from sea level to the lantern room. Its light range and height stands as number one among Japan’s lighthouses. On a clear day you can see all the way to the Tango Peninsula and is a beautiful picturesque sight. At Daijyoji Temple you can see works of art by Ohkyo, historically known as Japan’s father of the sketch and who made great contributions to the modernization of Japanese paintings, along with works of his pupils. These works of art are in the form of paintings and drawings on fusuma and folding screens. There are approximately 165 works of art and all are designated important cultural properties of the country. Base facility for the San’in Coastal Geo-park. Here you can find abundant information on the beauty and appeal of San’in Coastal Geo-park and the town of Kasumi. There are also displays of plant fossils and fossil footprint replicas, along with interesting facts on the Geo-park and other informational displays. A frog shaped island that was formed by the erosion of the andesite rock. It is a popular power spot that is said to have the ability to make wishes for change, the return of people or things (a play on words in Japanese because the words for “frog”, “return” and “change” are the same pronunciation “kaeru”.) come true. Long ago people that would voyage out to sea would make a wish to the rock for a safe return. Found on the northern end of the Imagoura coast, this observation deck offers views over the Japan Sea and Kasumi coastlines. It was also chosen as one of the 100 best places to view sunsets in Japan. It is within walking distance of Frog Island. A 10min drive and then a 7min walk from Marusei. Founded by Gyoki in the 7th century and originally called “Yakushiji”, the founder of Japanese Buddhism Kobo-Daishi consecrated the temple in the early 9th century. The original temple was lost to floods and mud slides but restored in 1543 and renamed “Chorakuji”. Many of the buildings burnt down between 1671 and 1912. Most were restored again in 1919. This temple holds 3 golden Buddhas and are the largest in the Tajima region. Chosen as one of the top sightseeing destinations in Hyogo. It was built around a more than 1,000 year old Japanese Judas tree and the land has a natural spring that puts out 5,000t of well water daily. Elevation of 680m and an area of hectare. A specialty of the gardens is its ability to support southern plants at their most northern limit, northern plants at their most southern limit, lower elevation plants at their highest limit, and high elevation plants at their lowest limit. Japan’s high humidity also makes this an ideal natural botanical garden. Please let us know when you make your reservation if you would like to use our free pick-up service from Kasumi Station. Copyright(c)2015 Marusei. All rights reserved.